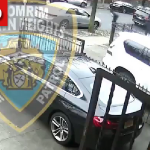 The baffling incident began as a Jewish woman was attempting to park her car in a rather tight spot in Crown Heights. In the process, as she attempted to squeeze her car in, she bumped the vehicle in front of her. 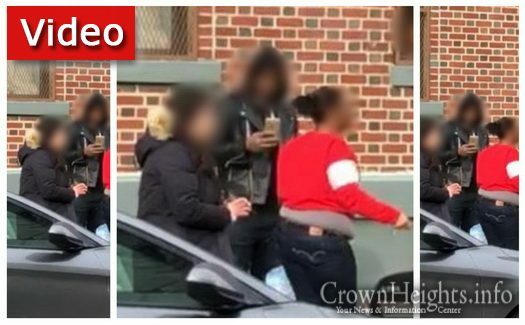 The owner of the vehicle came over, and following an animated discussion and threatening gestures, snatched the Jewish woman’s phone.She then walked into her building while a bystander called the police and Crown Heights Shomrim. The phone thief soon exited the building and was identified by Shomrim volunteers. The victim was able to make a positive identification of the phone snatcher, and although the phone was not recovered, she was taken into police custody. People were watching this altercation that went on for several minutes. What is it would have ended with a gun instead of a purse snatching? Where is all the extra police protection.I would have called 911 or shomrim right away to report an altercation with potential for escalation.